The vehicle, and the utility pole, involved in the early morning crash in Blanchester, according to police. 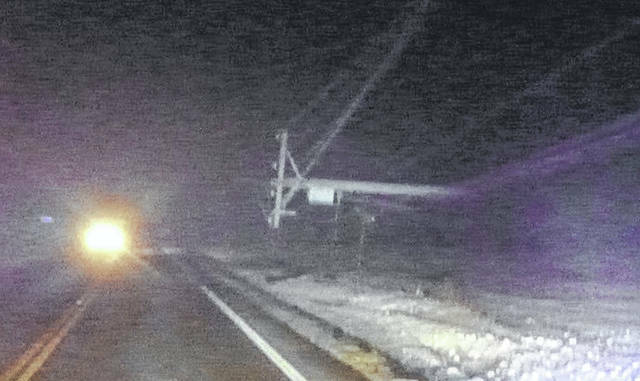 “Officers arrived in the area and found that a car had struck and sheared an electric pole along the street, then left the scene,” Police Chief Scott Reinbolt stated in a news release. He said officers examined evidence left at the scene and identified the driver of the vehicle as Rachel Frazier, 25, of Willow Drive, Blanchester. They went to Frazier’s home, which is about 1/8 of a mile from the crash site, and saw a silver Honda SUV in the driveway with extensive damage and both front air bags deployed, Reinbolt said, adding that they found Frazier in bed inside the home. 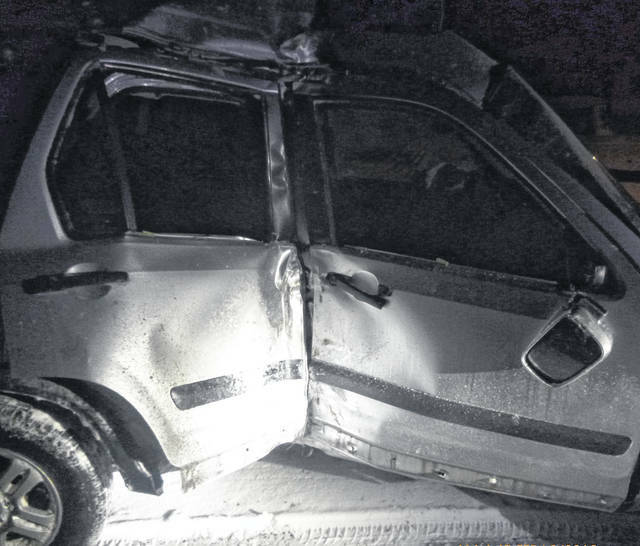 “Incredibly, Frazier said she drove the vehicle home after the crash,” said Reinbolt. She was cited for a marked lanes violation and for leaving the scene of an accident, and she will answer the charges in the Clinton County Municipal Court, Reinbolt said.